streets lined with pavement cafes is backed by hillsides of vineyards and olive groves. the golden sands of Ilica Beach, and yet still a part of Turkey virtually unknown to foreign visitors. 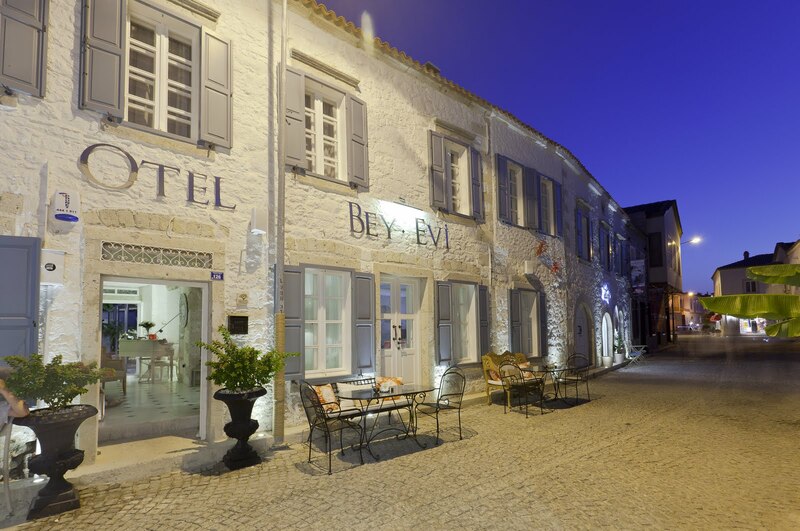 Many of the town's old Ottoman houses have been converted into boutique hotels oozing charm and style. modern yet utterly sophisticated look. lovely open fire for the cooler months. through repeating French windows of the swimming pool surrounded by decking. of art combining history and modern day luxury. hotel with its laced linen curtains, canopies draped romantically over beds and handmade quilts. indoor swimming pool. Solto even has its own private beach. away down a tranquil lane.